In the ancient book of Acts, written about 80 or 90 A.D. there is a story of magical language learning. Magical language learning has been appealing for thousands of years. This ancient story about learning languages magically is important for modern language learners to understand because it explains what we all want at a deep emotional level and it also explains how language learning programs are advertised today. It doesn’t matter if you believe in any god or whether you believe that the Bible is true or just a fairy tale, or something different altogether, this story is emotionally compelling enough to have been copied laboriously by hand by one generation after another for a very long time. 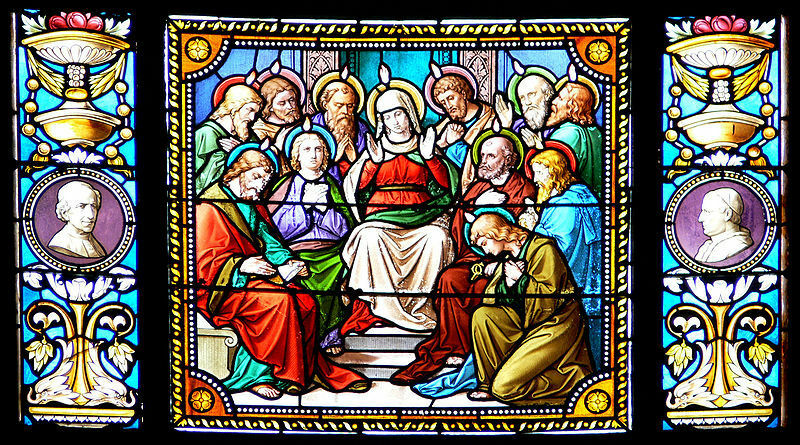 2 When the Day of Pentecost [a religious feast day] came, the believers were all in one place. 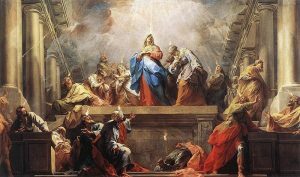 Suddenly there came a sound from heaven, as of a rushing mighty wind, and it filled the whole house where they were sitting. Then there appeared to them divided tongues, as of fire, and one sat upon each of them. 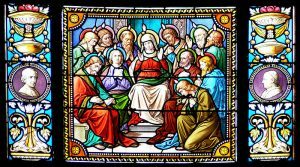 4 And they were all filled with the Holy Spirit and began to speak with other languages, as the Spirit gave them the ability. Note the tongues of fire on the heads. As it turns out if you read the rest of the story, the people talking in other languages weren’t drunk, they had just magically been given the ability to speak other languages by god. And like all great stories there is plenty of ambiguity about exactly what was happening and what it means. 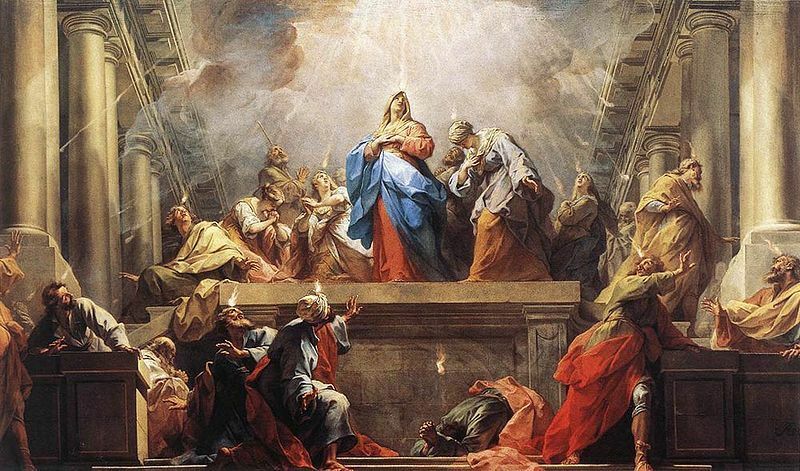 I think that what you really want — in fact what we all really want — is language learning like in the story of Pentecost. If you don’t believe me, then please note that one of the most popular language sites on the web is called “Fluent in Three Months”. For years, Rosetta Stone advertised, “Learn Like a Child” and the currently most popular language learning site on the web, Duolingo, tells you that you can learn a language in 5 minutes per day. “How to Learn (But Not Master) Any Language in 1 Hour” It turns out that the article was your basic click bait lie. What it really explained was how to learn the structure of any language in about an hour. But lots of people clicked on it, hoping that somehow it could be true. How Close Can We Get to Magical Language Learning Today? I think that we can all agree that that learning a foreign language in a very small amount of time is not likely to happen to us today no matter how devout we are. I have heard one modern preacher who claimed to have learned Spanish over the course of an eight-hour car trip. But he had a reputation for telling interesting stories, not necessarily true stories. On the left, you have methods that don’t work at all. These are methods like learn in your sleep, learning words in isolation and Rosetta Stone. In the middle, you have methods that can work given enough study time. These are methods like traditional language classes and Duolingo. On the right, you have language learning methods that are both efficient and effective. Methods like Anki, Memrise, and Language101.com come to mind. These three systems all use a method called spaced repetition they are both efficient and effective. We’ve analyzed the success stores from our customers over four years and found that our customers typically can go from knowing nothing to lower level intermediate [CEFR B1 Level] in about 180 hours of study. Is this magical? Not really, it’s still a big project, but it’s a do-able big project. It’s an hour a day for 6 months to get you to a very useful level in your new language. So What Can You Do In a Few Minutes That Will Ensure Your Success? You can actually do something in a few minutes, that will put yourself on a path to language learning success. What you CAN do in minutes is to buy our program, check the box that makes your order non-refundable and then either sign up for our motivation helper service or our success package options to keep you studying every day. In six months you will be six months older whether you can speak a new language or not. Why not put yourself on the path to success right now! This is your moment of strength. You’ve already tried our program and you know it will work for you. Click on your flag below and sign up for a program that will put you on the path language learning success right now.